"HUSBAND AND WIFE have a solemn responsibility to love and care for each other and for their children. 'Children are an heritage of the Lord' (Psalm 127:3). Parents have a sacred duty to rear their children in love and righteousness, to provide for their physical and spiritual needs, and to teach them to love and serve one another, observe the commandments of God, and be law-abiding citizens wherever they live. Husbands and wives—mothers and fathers—will be held accountable before God for the discharge of these obligations." If you were to visit my house tomorrow, or any day really, you would likely see a bunch of little kids running around, playing, screaming, jumping, rolling around on the ground, yelling, throwing things, and occasionally crying. There would be at least four but often probably more (today I came home for lunch and there were six! Cami had "picked up" two more for a few hours). People are shot to death at least a half dozen times daily, someone is a "bad guy", at any given moment we may have the Hulk, Captain America, Batman, the Ninja Turtles, Superman, or Flash (he's the newest addition to the team of super heroes) gracing us with their presence fighting evil and leaving a wake of devastating destruction in their path. If you stayed through bedtime you would see a marked difference in our home. The serenity that has been hiding all day begins to venture forth from its hiding places and about an hour after bedtime it has completely overtaken the home. It is wonderful. Were you to stay the night you would find that the serenity gives way once again to chaos as the sun rises over the eastern hills. If you weren't in the midst of it all you might think it poetic. But you are in the midst of it and, believe me, it isn't poetic. Amidst the clamor and raucous Cami and I often jokingly ask "Whose kids are these? Where did they all come from?" When they are particularly rambunctious she lovingly reminds me that "they are your children." In extreme moments she washes her hands of them and gracefully walks away to leave me to impose some semblance of order. But no matter what happens and regardless of the clamor and confusion one thing remains constant: I never forget that it is my responsibility to love my wife with all my heart and to care for her and our children. And Cami never forgets that it is her responsibility to love me with all her heart and to care for me and our children. 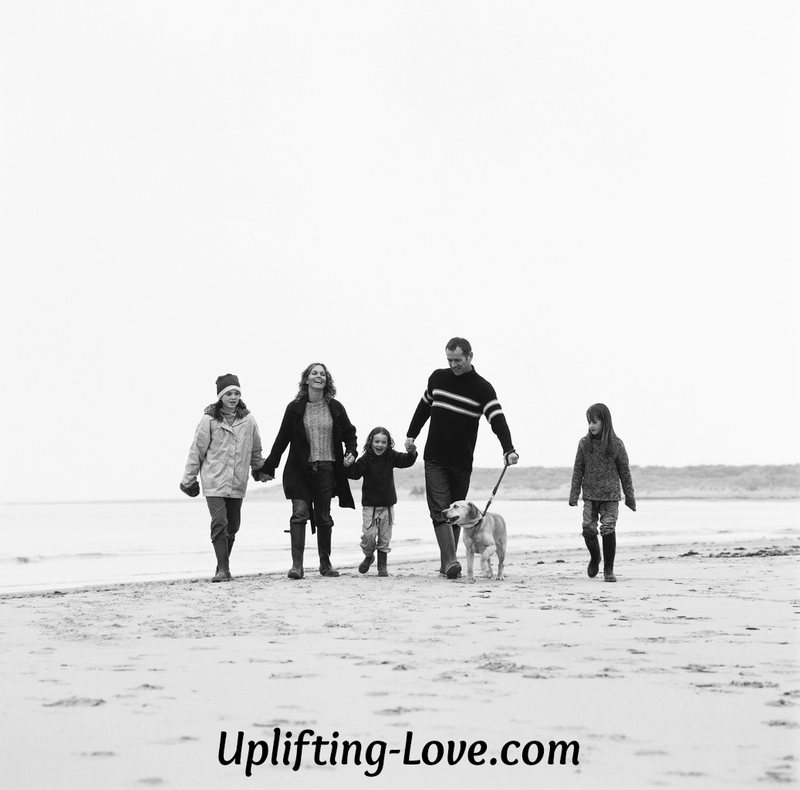 The family is the fundamental unit of society and the foundation of the family is the marriage. If the marriage is weak the family is weak. When a marriage is strong so too the family is strong. It is my responsibility to love and care for my children. The best way I can do that is by making sure that our family is strong. It is my responsibility to love and care for my wife. The best way I can do that is by making sure that our marriage is strong and healthy. I do have a solemn responsibility to love and care for my wife and children. I am working toward fulfilling that responsibility by strengthening my marriage when I take my wife on a date, tell her that I love her, do chores around the house that she would otherwise have done, stare lovingly at her while sitting at the dinner table, telling my friends and family how fabulous she is, praying for her, making her laugh, holding her when she cries, teasing her when she needs to smile, teaching our sons to respect her and all women, holding her hand, kissing her cheek, and through many, many other small and simple gestures. I affirm and accept my solemn responsibility to love and care for my wife and children. I am working toward fulfilling that responsibility by reading to my sons, teaching them how to throw a ball, letting them help me fix things and work in the yard, giving them hugs, listening to their stories, teaching them how to pray, sharing my dessert with them, and generally just showing them how to be men and good people. 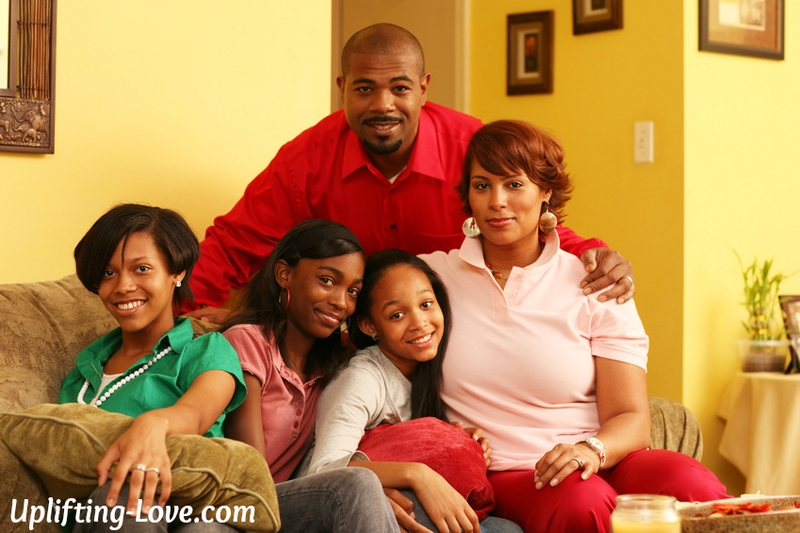 We all have a solemn responsibility to love and care for our husband or wife and together to care for our children. How are you fulfilling this responsibility? I'm watching a family close to me fall apart because the husband isn't fulfilling his role and doesn't seem interested in being a husband or a dad. It's heartbreaking. Your family is blessed to have you committed to your role. Thank you Kristin. That is very kind. And very sad about the family you are close to. I sincerely pray that that father will wake up and assume his responsibilities. He'll never be happy if he isn't. Thanks for stopping by! A must read for husbands & wives. Thank you Michelle! I'm glad that you liked it. Thank you for hosting the blog hop Katherine! And for stopping by!! I read this today, our 36th anniversary, and loved it! Thanks Janice. And congratulations to you and your husband on your anniversary! 36 years is amazing! Wonderful post. There is nothing more beautiful - than a husband who loves his family - and walks out that leadership role daily! Having come from a broken home, I am blessed with the awesome man God made for me. We'll be married 31 years this year! That's fantastic! Congratulations on 31 years of marriage!! Lovely - I'm so glad you shared with Salt & light.... I'm featuring this post on the next link up! It can be so easy to get caught up in the mundane and the chaos and forget those vows. But if we do, we run the risk of shutting down the entire family unit as it is supposed to function. These are important reminders for both husbands and wives. You're absolutely right Jen, it is SO easy to get caught up in every day life. But when we remember and do the small and simple things is when we see great things come to pass. Thanks for stopping by!